Structured from least to most, here are the most expensive military jets in the world. All prices are adjusted to reflect their status in 2018 dollars, and all prices indicate per unit cost (not including research and development costs). The aircraft on this list include jets in a fighter/attack role. So, without further ado, enjoy learning about the most expensive military jets in the world. The Mikoyan-Gurevich MiG-29 is a twin-engine air superiority aircraft, referred to as Fulcrum by NATO. Some consider the Mig-29 superior to other fourth-generation American and European fighter jets of their time. The jet entered service in 1982 and continues to adapt to meet modern-day threats of enemy fighters. Russia, Ukraine and India operate the majority of all MiG-29s ever made.The MiG-29 reaches a maximum speed of about 1,500 mph, which is above Mach 2. A MiG-21 in the Croatian Air Force. The MiG-21 is a single-engine jet fighter produced by the Mikoyan-Gurevich Design Bureau as an improvement on prior generations of the MiG-17 and MiG-19. It is outfitted with one Tumansky R25-300 turbojet which gives the MiG-21 a maximum speed of 1,350 mph. 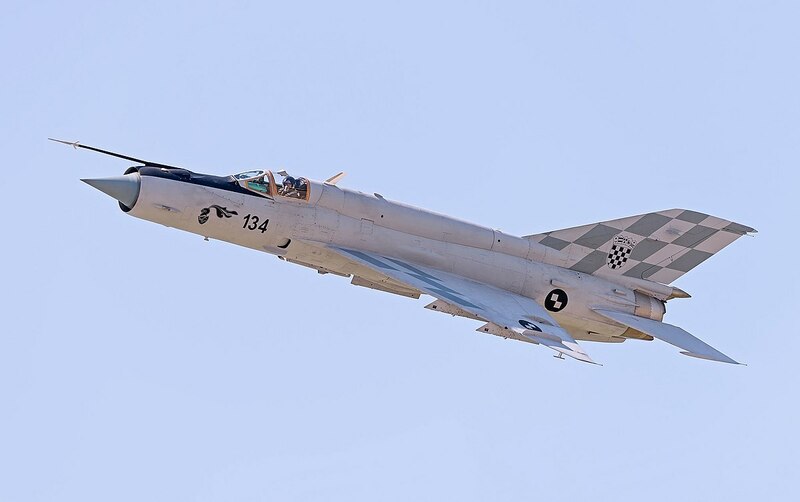 Built in an era long before advanced radar and avionics, the MiG-21 employs an ambush style of attack. 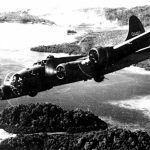 The aircraft relied heavily on speed, attacking its target and speeding off before any enemy-fire could catch it. While they are publicly available and inexpensive today, the MiG-21 cost roughly $2.9 million dollars in 1959 when it was produced. 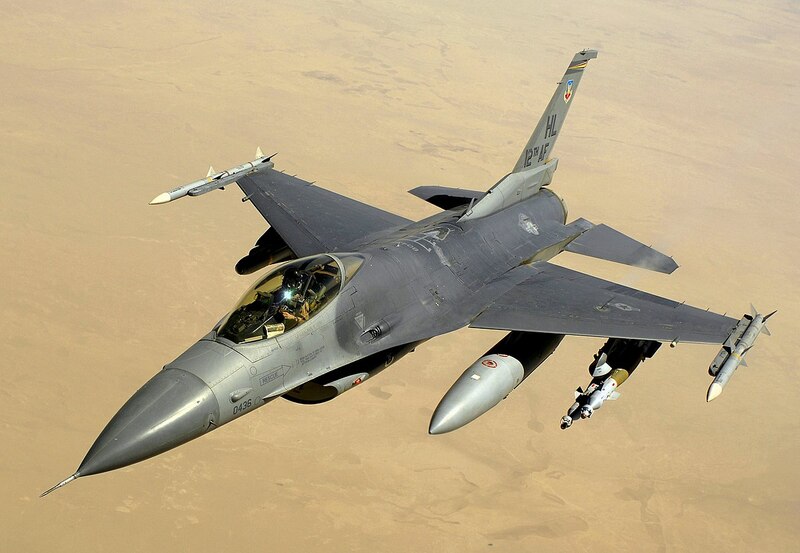 A U.S. Air Force F-16 Fighting Falcon Block 40 aircraft after receiving fuel from a KC-135 Stratotanker aircraft during a mission over Iraq on 10 June 2008. This F-16 is assigned to the 34th EFS Balad Air Base, Iraq and is deployed from the 388th Fighter Wing at Hill Air Force Base, Utah. A French Air Force Mirage 2000C drops away from a United States Air Force KC-135R Stratotanker (not shown) after refueling during a Combat Patrol mission while participating in NATO Operation Allied Force. The KC-135R is based at Royal Air Force Mildenhall, England but is being flown by a crew deployed from the 384th Air Refueling Squadron, McConnell Air Force Base, Kansas. Tankers from RAF Mildenhall make-up a large portion of the tanker forces supporting NATO aircraft during NATO Operation Allied Force. This tactical, multirole fighter/bomber from France is designed for low-altitude close air support and high-speed deep penetration strikes into contested airspace. The Dassault Mirage entered service in 1984. It’s racked up quite an impressive resume of combat victories since then and is the most exported European combat aircraft. It’s SNECMA M53-P2 afterburning turbofan gives it a maximum speed of 1,450 mph. 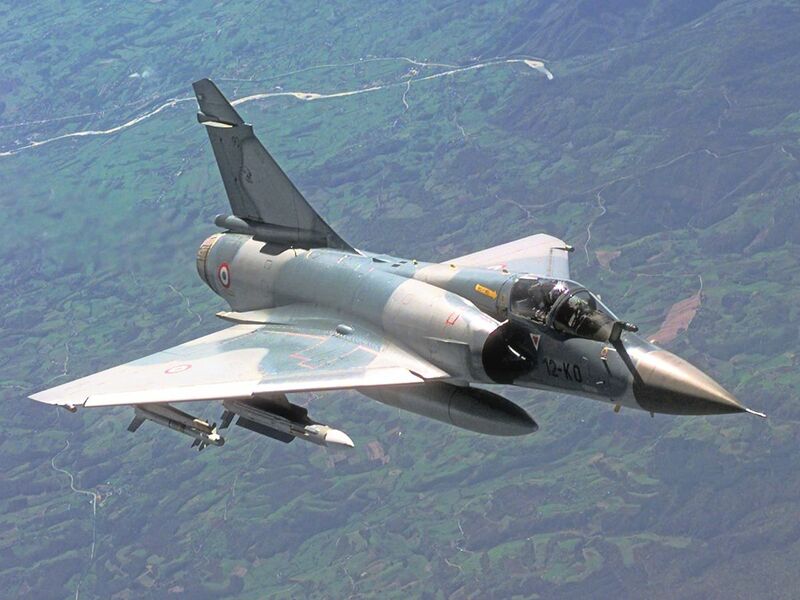 The Dassault Mirage 2000 costs $30.6 million. 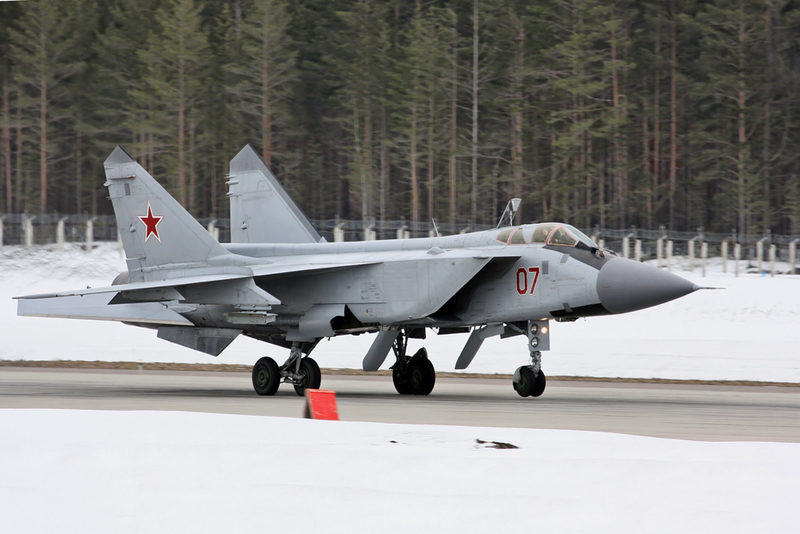 undefined More details MiG-31 from 790th Fighter Order of Kutuzov 3rd class Aviation Regiment on the runaway of Khotilovo airbase, Tver region. NATO gave this two-seat supersonic interceptor the name ‘Foxhound’. The MiG-31 first took flight in 1975, entered service in 1982 and is operated almost exclusively by the Russian Air Force and the Kazakstan Air Force. Two Solovyev D-30F6 turbofan shaft engines power the Foxhound to a maximum speed of 2.4 Mach, or approximately 1,900 mph. This interceptor jet is designed to fly at high speeds at low altitude as well as track multiple targets simultaneously at high altitudes.This list most expensive military jets in the world is compiled by Military Machine. 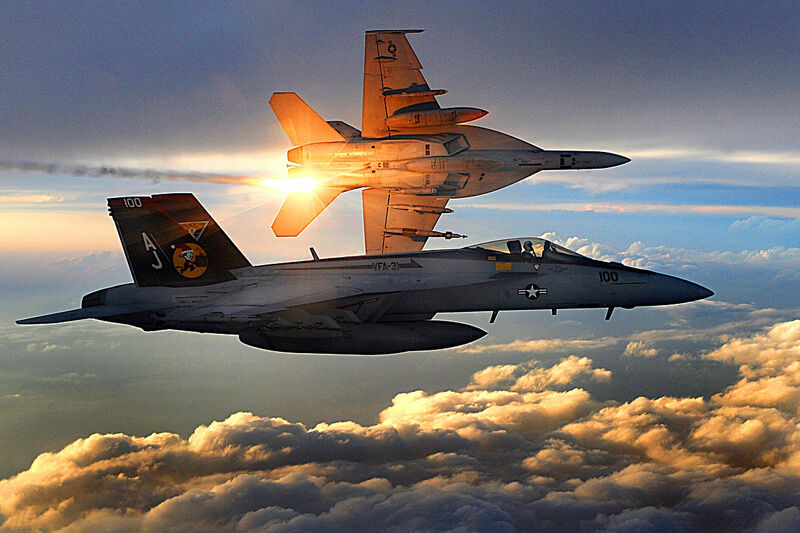 Two U.S. Navy F/A-18 Super Hornets of Strike Fighter Squadron 31 fly a combat patrol over Afghanistan, Dec. 15, 2008. The Sukhoi Su-30SM multi-role fighter is the variant of the Su-30 MK family of jet fighters designed specifically for the Russian Air Force. The Su-30 is piloted by a crew of two. The fighter is powered by two AL-31FP by-pass turbojet engines, giving the jet a max speed of nearly 1,500 mph. The Su-30’s maximum operational altitude is about 56,000 feet. 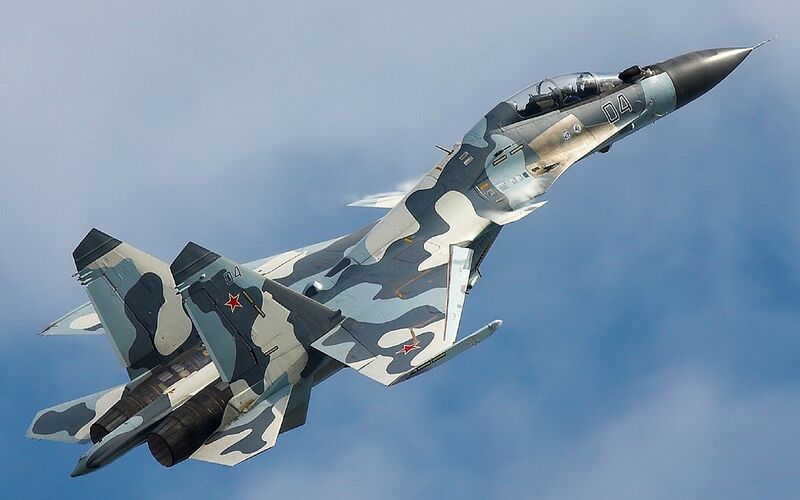 Russia ordered the Su-27 Flanker in response to American fourth-generation jet fighters; the F-14 Tomcat and F-15 Eagle. 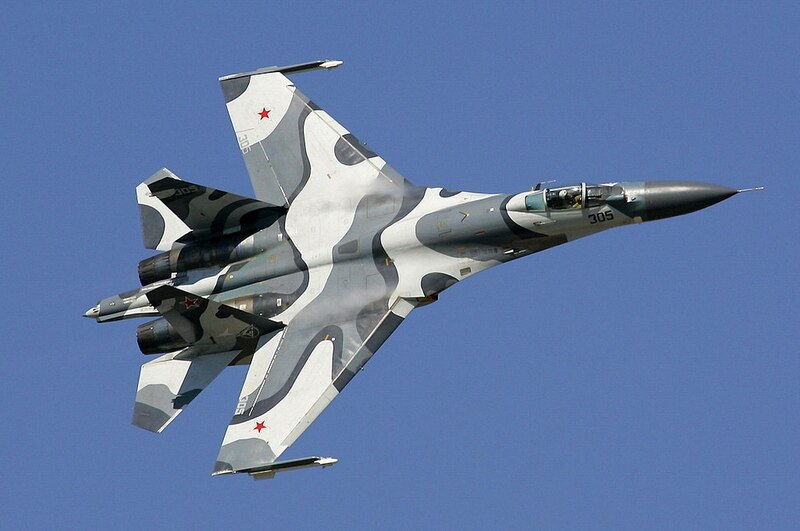 The Su-27 (dubbed “Flanker” by NATO) is a multi-role/air superiority fighter that’s been in service since 1985. 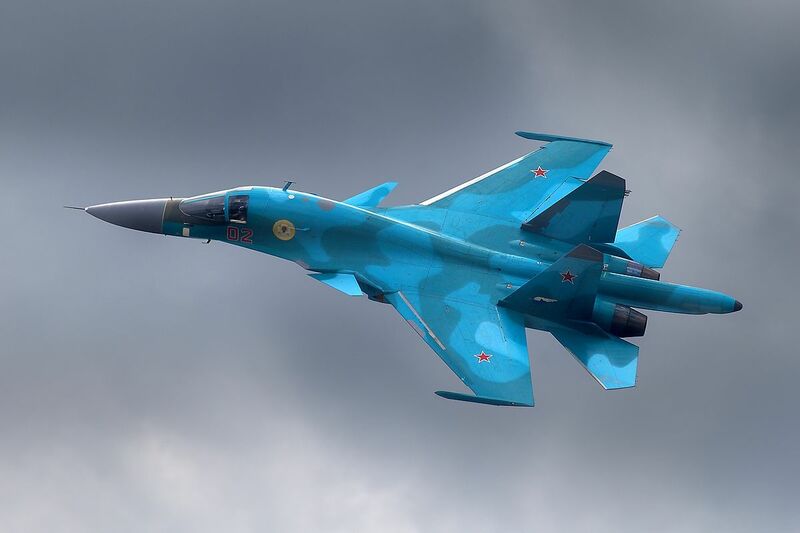 The U.S. Department of Defense actually bought several Sukhoi SU-27s in order to test its own military’s preparedness against the jet fighter. The Sukhoi Su-27 is powered by twin Saturn/Lyulka AL-31F turbofans, giving the aircraft a max speed of 1,550 mph, over Mach 2. 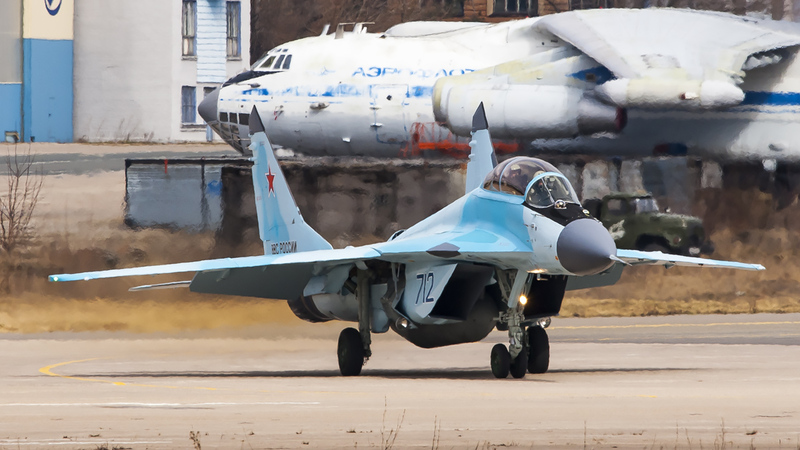 This twin-seat fighter/bomber is an offshoot of the Su-27 Flanker. Russia ordered the Su-34 into production in 2008, it entered service in 2015 and Sukhoi Design Bureau will deliver Su-34s until 2020. The jet, externally, is similar to the Su-27 except the nose of the aircraft is a different shape in order to accommodate a new radar. Two after-burning Saturn AL-31F turbofan engines allow the Su-34 a max speed of Mach 1.6, or 1,200 mph. Capt. Matt Bruckner, an F-15 Eagle pilot assigned to the 71st Fighter Squadron, 1st Fighter Wing, at Langley Air Force Base, Va., flies a combat air patrol mission 7 October 2007 over Washington, D.C., in support of Operation Noble Eagle. 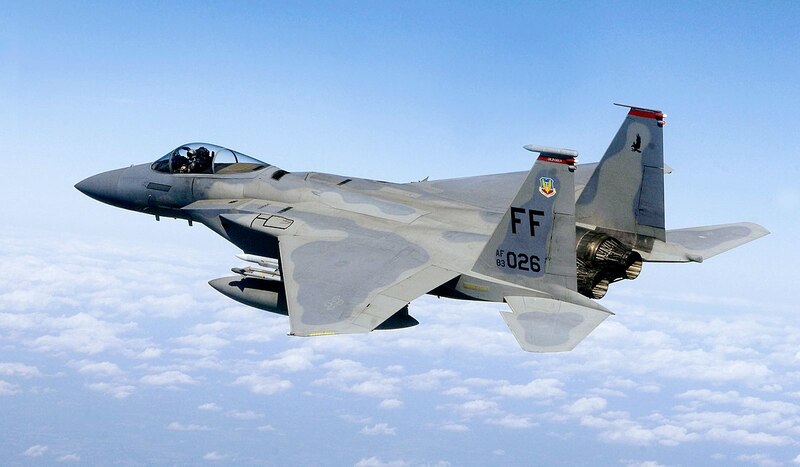 The aircraft is a McDonnell Douglas F-15C-35-MC Eagle. 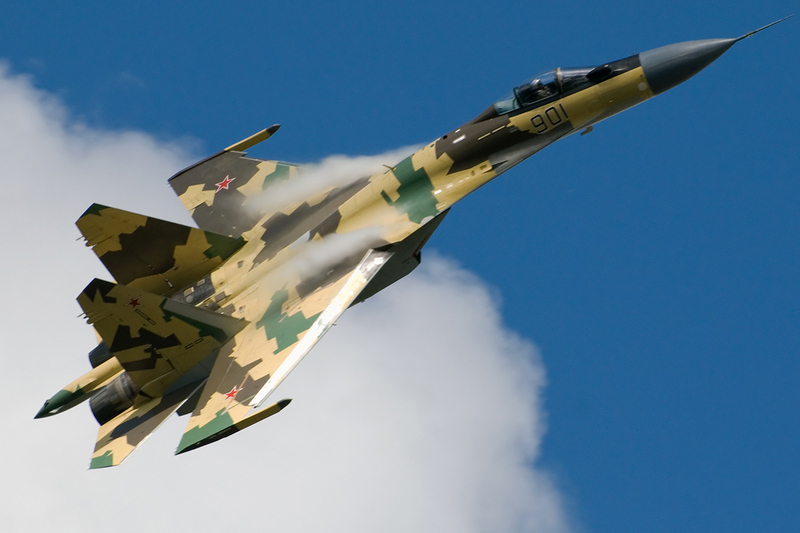 This 4.5 generation fighter is an offshoot of the MiG-29, thus they share a name. This multi-role fighter contains advanced avionics and two RD-33MKB engines that give it an estimated max speed of Mach 2.2. Although it hasn’t entered service, the public had opportunities to see the MiG-35 in action. At an airshow in 2005, the MiG-35 Fulcrum displayed its maneuverability to the crowd. It made a lasting impression because many now believe that the super-maneuverability capability (ability to sustain angles of attack at increased speed) of the MiG-35 is its best feature. 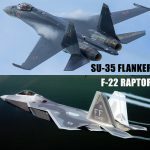 This list most expensive military jets in the world is compiled by Military Machine. Saab Gripen at the Kaivopuisto air show. A sleek delta wing shape and an aggressive canard accompany the the JAS 39, a fourth generation fighter that goes toe-to-toe with fifth generation counterparts. It features a fly-by-wire control system and is aggressively priced to sell to countries such as the Czech Republic, Thailand, and other friendly nations. 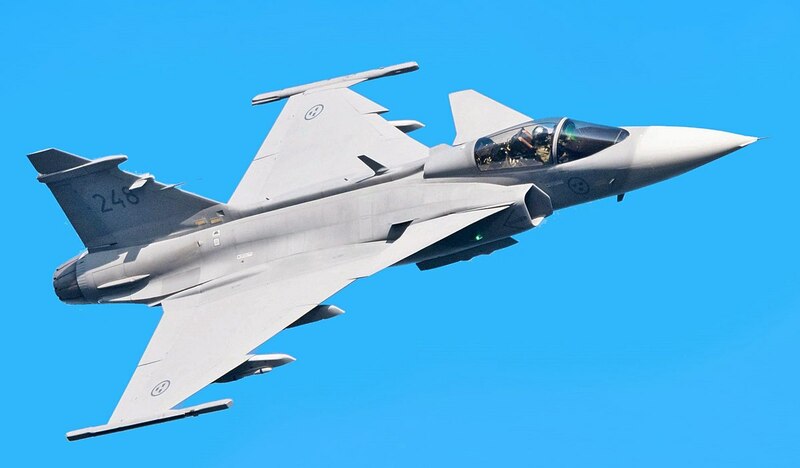 The JAS 39 comes with a single Volvo RM12 afterburning turbofan, giving the Saab JAS 39 a max speed of roughly 1,370 mph. 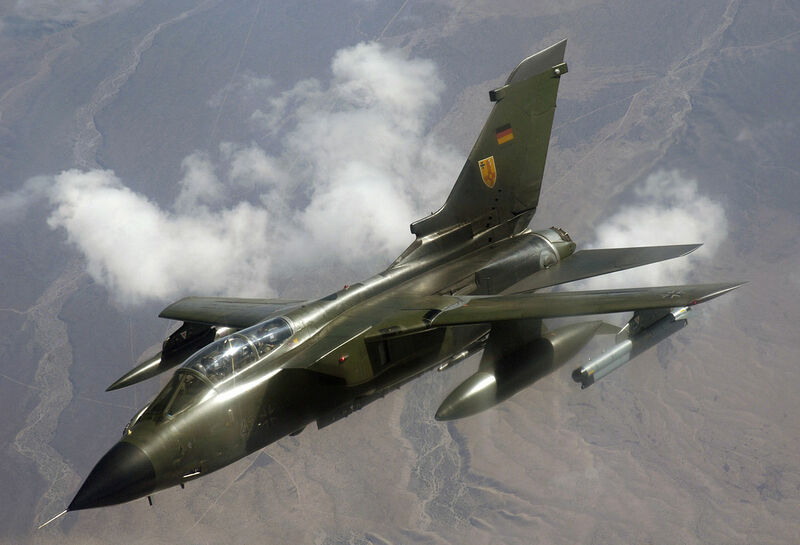 A Luftwaffe (German Air Force), Panavia Tornado IDS aircraft (s/n 43+13) from the "German Air Force Flying Training Center (GAF/FTC)" at Holloman AFB, New Mexico (USA), heads to the fight after refueling during Red Flag 07-3 at Nellis Air Force Base, Nevada (USA), on 31 August 2007. Red Flag tests aircrew's war-fighting skills in realistic combat situations. The most popular strike fighter in Europe, the aging Panavia Tornado outnumbers the new Eurofighter Typhoon in Europe two to one. The Tornado, built by Italy and used by nearly every nation of NATO, entered service in 1979 and remains there to this day. One of its most notable features are the “swing wings,” which allow the Tornado to rapidly transition from high-speed, high-altitude combat to low-level and fairly slow bombing runs with ease. Two turbo-Union RB199-34R Mk 103 afterburning turbofan engines power the Panavia Tornado to a max speed of Mach 2.2. That’s an impressive feat for a jet built in the early to mid-1970s. 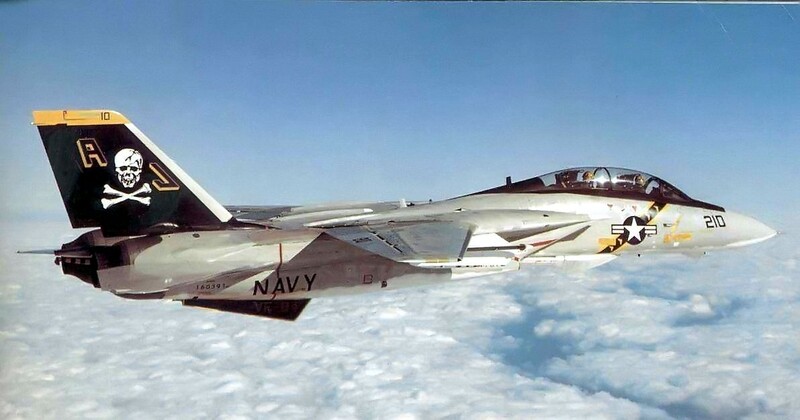 A Grumman F-14A Tomcat (BuNo 160391) of fighter squadron VF-84 Jolly Rogers, Carrier Air Wing Eight (CVW-8). VF-84 flew the F-14A from 1976 until the squadron was disestablished on 01 Oct 1995. From December 1977 to July 1987 VF-84 was assigned to the aircraft carrier USS Nimitz (CVN-68). The paint scheme displayed by the F-14A was typical of the 1970s. VF-84 also became famous when its Tomcats appeared in the movie The Final Countdown () (released 1980). It had been filmed on the Nimitz with CVW-8 during the first half of 1979 in the Caribbean. This two-seat, twin-engine fighter aircraft capable of long distance interception was designed to be the U.S. Navy’s premier Fleet Air Defense (FAD). The F-14 Tomcat entered service in 1974 and retired in 2006 as the U.S. military’s fighter jet prowess grew exponentially. Two General Electric F110-GE-400 after burning turbofans propel the F-14 Tomcat to a max speed of Mach 2.3. This list most expensive military jets in the world is compiled by Military Machine. 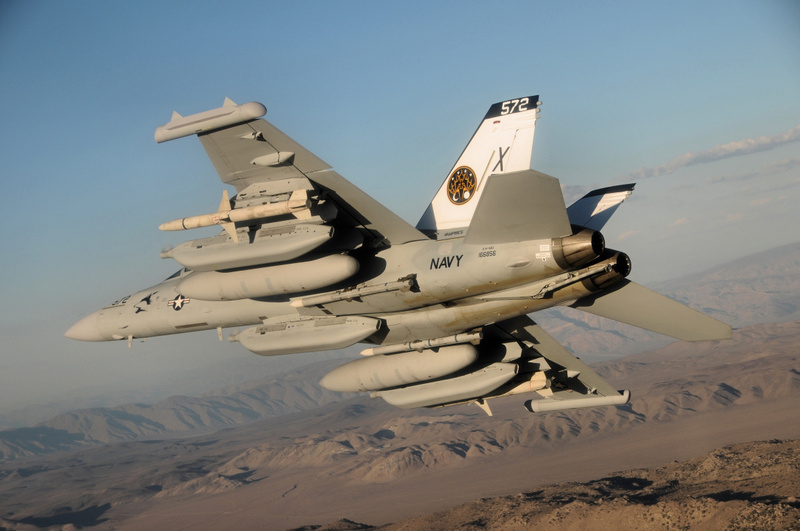 The EA-18G Growler represents the new age in electronic aircraft technology. It debuted in 2008 and is the Navy’s first electronic warfare aircraft with a new design in over three decades. 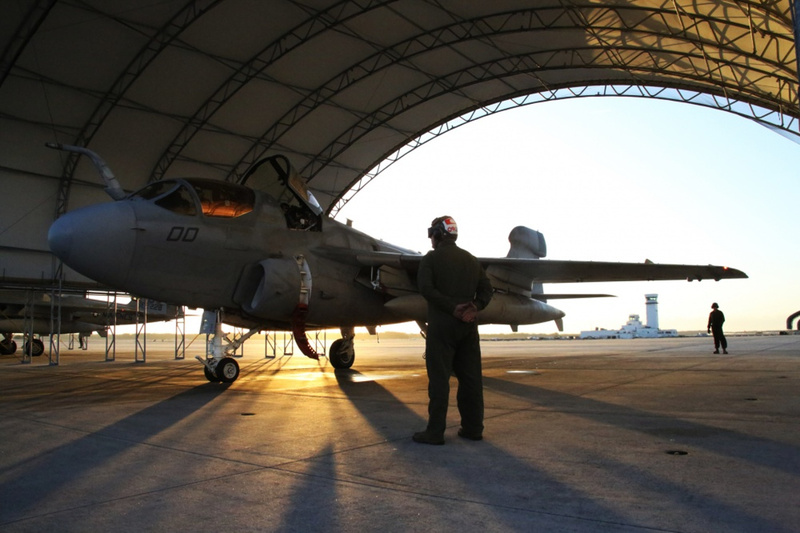 The EA-18G took the reigns from the EA-6B “Prowler” as the Navy‘s primary electronic attack aircraft. Two F414-GE-400 turbofan engines give the EA-18G a max speed of 1,190 mph or Mach 1.8. The latest in the Russia-made Sukhoi family of military fighter jets, the Su-35 Flanker-E is a single seat, twin-engine multirole fighter. It is an offshoot the Su-27 Flanker. 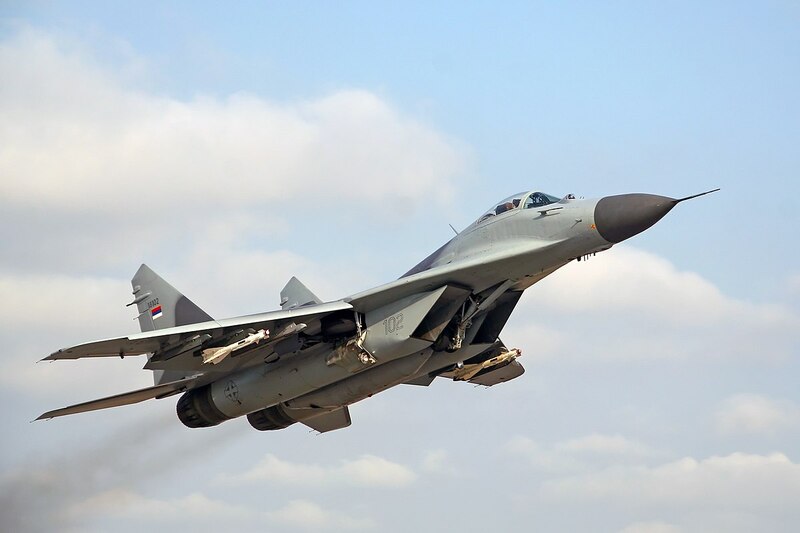 The updated Flanker-E is labeled as a 4.5-generation fighter designed as an intermittent aircraft until the fifth-generation Sukhoi PAK-FA is debuted. Two Lyulka AL-31FM afterburning turbofan engines power the Su-35 to a max speed of 1,550 mph. One of the most versatile jets on this list, the The F/A-18E/F Super Hornet is an evolved F/A-18. It operates off of an aircraft carrier and performs electronic warfare missions, air-to-air interdiction and bombing missions as well as others. It’s first combat mission was in 2002 over the Persian Gulf, where it enforced the “no-fly” zone. Two General Electric F414-GE-400 turbofans power this U.S. Navy aircraft, giving it a max speed of 1,190 mph or Mach 1.6. This list most expensive military jets in the world is compiled by Military Machine. Entering service in 2004, the Dassault Rafale is France’s most updated multi-role fighter jet. 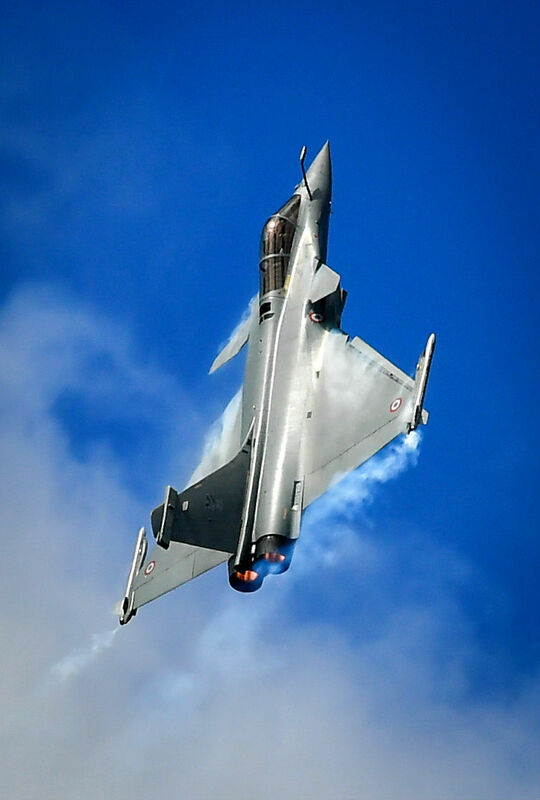 With three main variants, the Rafale is capable of air superiority, aircraft carrier operations, strategic target destruction, and nuclear deterrence missions. Two SNECMA M88-2 afterburning turbofan engines give the Rafale a maximum speed of Mach 1.8. It has a combat radius of 1000 nautical miles, but can extend to twice that with three fuel drop tanks mounted on its hard points. This list most expensive military jets in the world is compiled by Military Machine. A U.S. Air Force pilot navigates an F-35A Lightning II aircraft assigned to the 58th Fighter Squadron, 33rd Fighter Wing into position to refuel with a KC-135 Stratotanker assigned to the 336th Air Refueling Squadron over the northwest coast of Florida May 16, 2013. The F-35 Integrated Training Center was established at Eglin Air Force Base and was responsible for conducting student pilot training and maintainer training for Airmen, Marines and Sailors responsible for the aircraft. 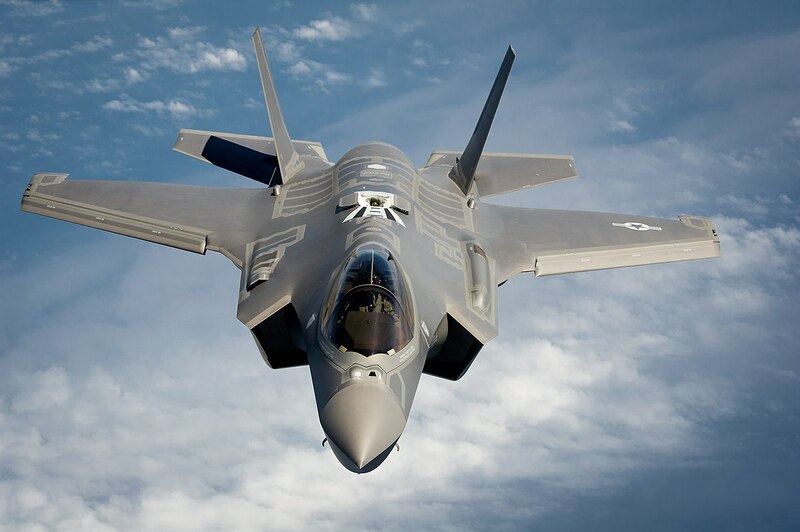 The conventional takeoff and landing (CTOL) version of the United States’ newest and most technologically advanced jet, the F-35A belongs to the U.S. Air Force. The fifth-generation fighter combines air-to-air as well as air-to-ground attack capabilities. It’s advanced avionics suite tracks, locks and engages the enemy before the enemy is aware the F-35A is there, eliminating the need for a dogfight scenario. One Pratt & Whitney F135-PW-100 turbofan engine powers the F-35A, giving it a max speed of roughly 1,200 mph or Mach 2. The Eurofighter Typhoon is a twin engine multirole fighter. It was created by a large number of European designers, most notably, Eurofighter. 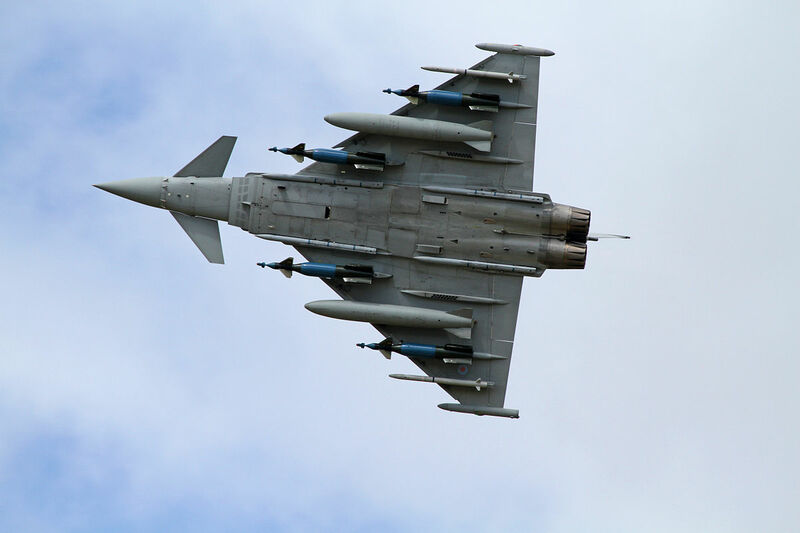 It deployed in 2003 and while the multirole fighter isn’t as adept at air-to-ground combat as the Panavia Tornado – it’s been suggested the Typhoon outperforms most American fighters in air-to-air superiority. Two Eurojet EJ200 afterburning turbofan engines propel the Eurofighter Typhoon’s max speed to 1,550 mph, well over Mach 2. 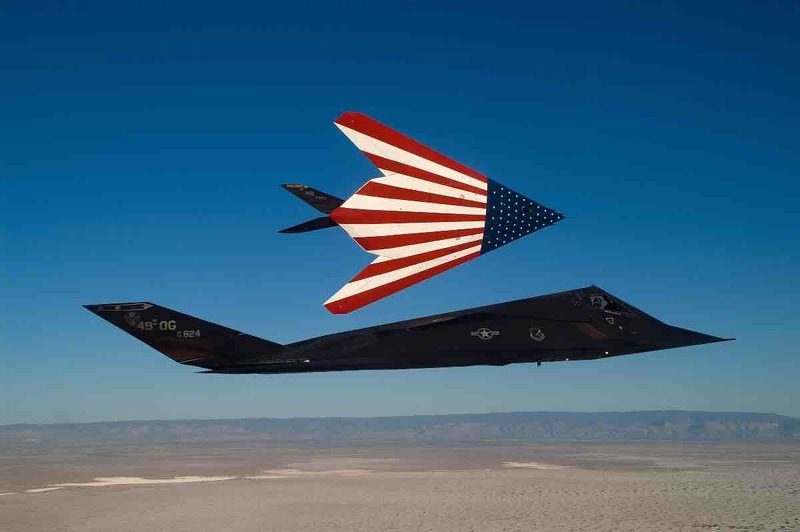 Two specially painted F-117 Nighthawks fly on one of their last missions. The F-117s were retired March 11 in a farewell ceremony at Wright-Patterson Air Force Base, Ohio. Contracted, designed and built in secrecy, the F-117 is the U.S. Air Force’s first stealth aircraft. Even breaking the numbered naming norm of American fighters was a move to confuse the enemy. The F-117 Nighthawk would have been F-19. This stealth attack aircraft entered service in 1982 and officially retired in 2008. Two General Electric F404-F1D2 turbofans power the F-117 Nighthawk, giving it a max speed of over 700 mph. It comes in at No. 5 on the list of most expensive military jets in the world. This list most expensive military jets in the world is compiled by Military Machine. 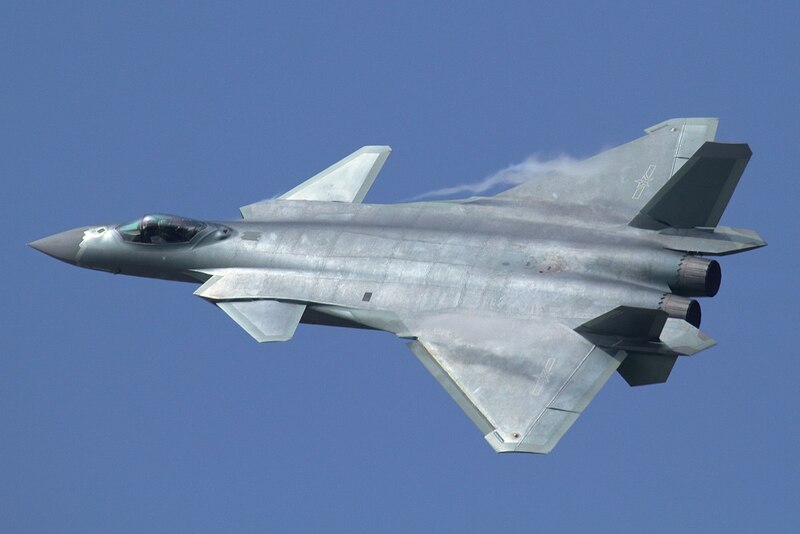 The Chinese Chengdu J-20 Black Eagle is a twin-engine, multi-role, fifth-generation strike fighter jet. It entered service for the People’s Liberation Army Air Force in 2017. PRC projects to use the fighter until the 2050s. Twin afterburning turbofan engines give the J-20 a max speed of 1,350mph. It comes in at No. 4 on the list of most expensive military jets in the world. Notice the angle of the engine. BF-01 Flt 296 SqnLdr James "Skosh" Schofield performs the first RAF Vertical Landing 28 May 2013 at NAS Patuxent River, MD. 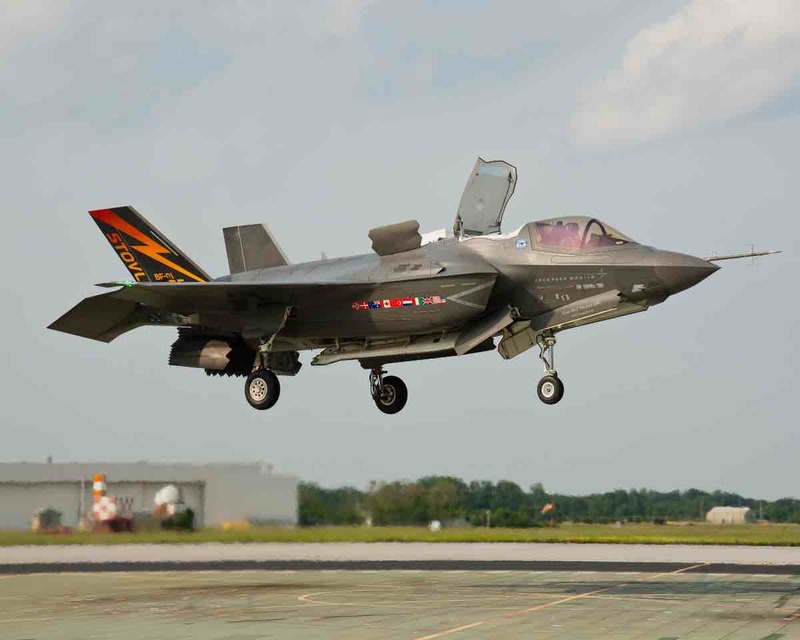 The short-takeoff and vertical landing (STOVL) version of the United States’ newest and most technologically advanced jet, the F-35B belongs to the U.S. Marine Corps. 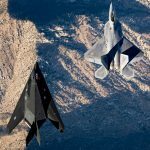 The fifth-generation fighter combines air-to-air as well as air-to-ground attack capabilities. 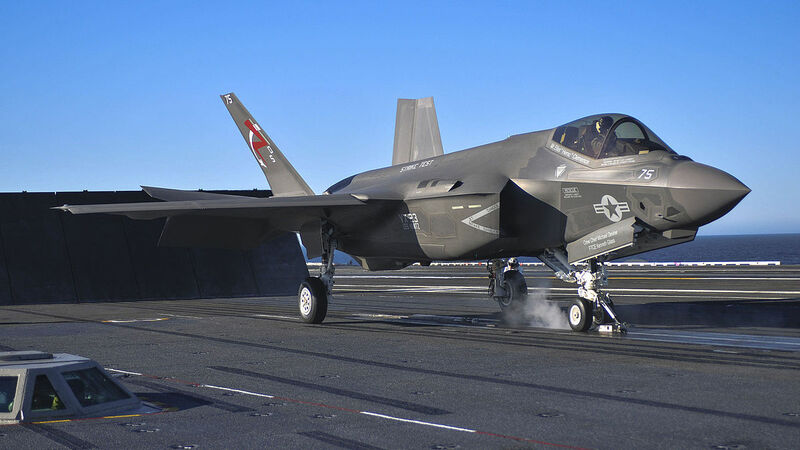 The F-35B contains the Rolls-Royce patented LiftFan propulsion system and an engine that can swivel 90 degrees. This gives the U.S. Marine Corps the option to land at the forefront of battle without a long, structured runway. One Pratt & Whitney F135-PW-100 turbofan engine powers the F-35B, giving it a max speed of roughly 1,200 mph or Mach 2. It comes in at No. 3 on the list of most expensive military jets in the world. A U.S. Navy Lockheed Martin F-35C Lightning II of Air Test and Evaluation Squadron 23 (VX-23) launches from the aircraft carrier USS Nimitz (CVN-68) in the Pacific Ocean. The F-35C was conducting initial at-sea developmental testing expected to last two weeks. The carrier version of the United States’ newest and most technologically advanced jet, the F-35C belongs to the U.S. Navy. The fifth-generation fighter combines air-to-air as well as air-to-ground attack capabilities. The most expensive of the F-35 family, the F-35C has larger wings and more robust landing gear. One Pratt & Whitney F135-PW-100 turbofan engine powers the F-35C, giving it a max speed of roughly 1,200 mph or Mach 2. It comes in at No. 2 on the list of most expensive military jets in the world. A pilot peers up from his F-22 Raptor while in-flight, showing the top view of the aircraft. Aircraft is mostly gray, apart from the dark cockpit canopy. The U.S. Air Force maintains the F-22 Raptor costs only $143 million per unit, as of 2015. Even then, that price tag may be understated. 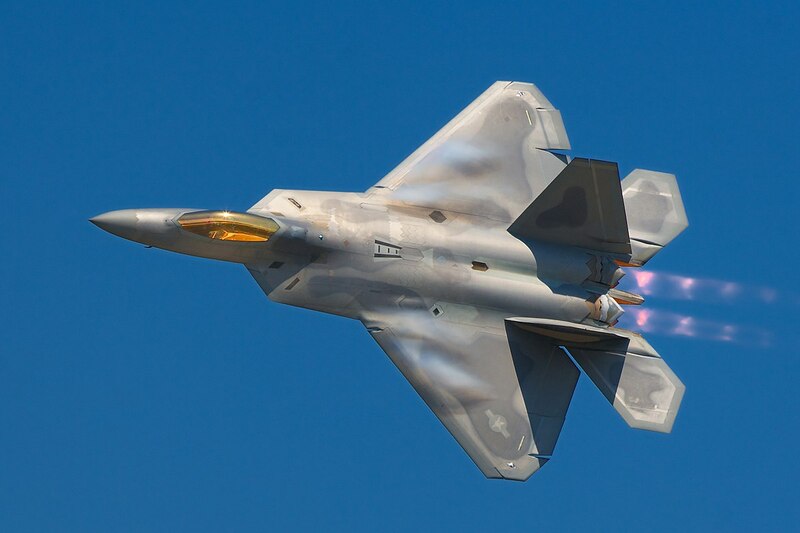 Regardless, the F-22 Raptor air superiority fighter jet is the most expensive military jet on the planet. This stealthy fifth-generation fighter entered service in 2005 and projects to be around for three to four decades. Two Pratt & Whitney F119-PW-100 turbofan engines with afterburners and two-dimensional thrust vectoring nozzles give the F-22 unmatched maneuverability and a top speed of over 1,500mph with supercruise capability. It is the most expensive out of all the most expensive military jets in the world. Now let’s test your knowledge. 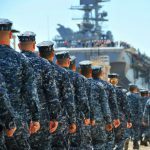 Take our Military Aircraft Cost Quiz!